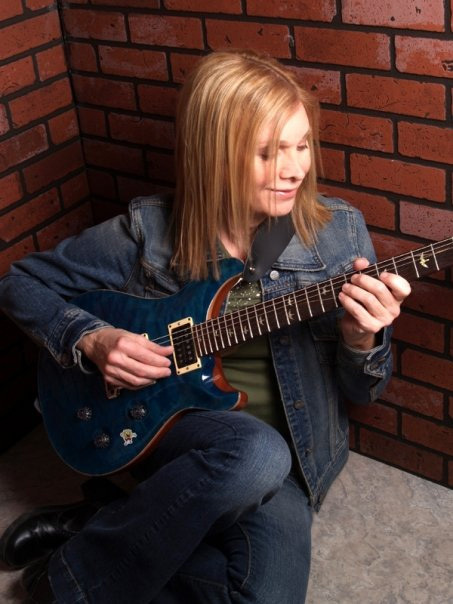 Cailyn Lloyd is an accomplished multi-instrumentalist whose talents cover a breadth of genres, from blues to power rock to progressive rock. 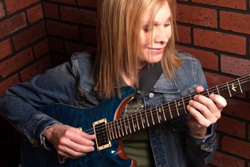 With Four Pieces, Cailyn turns her attention to prog rock once more. This time applying it to some of her favorite classical music for exceptional results. Of the four pieces here, three are interpretations of extant material , while the fourth and last, an original composition, inspired by the piano music of Chopin Schubert. On every piece, Cailyn plays every instrument. The first selection, Fantasia, comes from Fantasia on a Theme by Thomas Tallis by British composer Ralph Vaughan Williams. You may recall hearing it in the 2003 film Master and Commander: The Far Side of the World with Russell Crowe. It's the longest piece here, and moves between the sublime and soaring, with Cailyn's guitar leading the way. The second selection, Largo, is from the second movement of Anton Dovark's New World Symphony, written during his stay in America in the late 1800's. Of the three classical pieces here, this is the only one with which I'm familiar. It's also the one that gets the most guitar rock interpretation, yet without compromising the prog nuances. Adagio, the third piece, is an interpretation of the Adagio for Strings from the second movement of Samuel Barber's String Quartet, Op. 11. Here synthesizers provide the foundational orchestral layer, while Cailyn directs the strings from her guitar. It's a compelling piece. The final original composition, while based on the piano music of Chopin and Schubert is very much a guitar oriented piece, a nearly perfect example of classical/rock music fusion. By explanation, Cailyn notes that she wanted to tackle this musical adventure for some time. She finished Largo in a blues interpretation in 2007, but found Fantasia too overwhelming and abandoned the project. Thankfully for us, and for her of course, she returned to the Four Pieces project. It's pure magic, a fine expression of her immense talent and creativity. Strongly recommended. 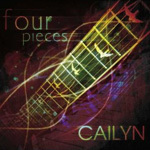 Cailyn's Four Pieces is pure magic, a perfect merger of classical music with progressive rock, and a fine expression of her immense talent and creativity.